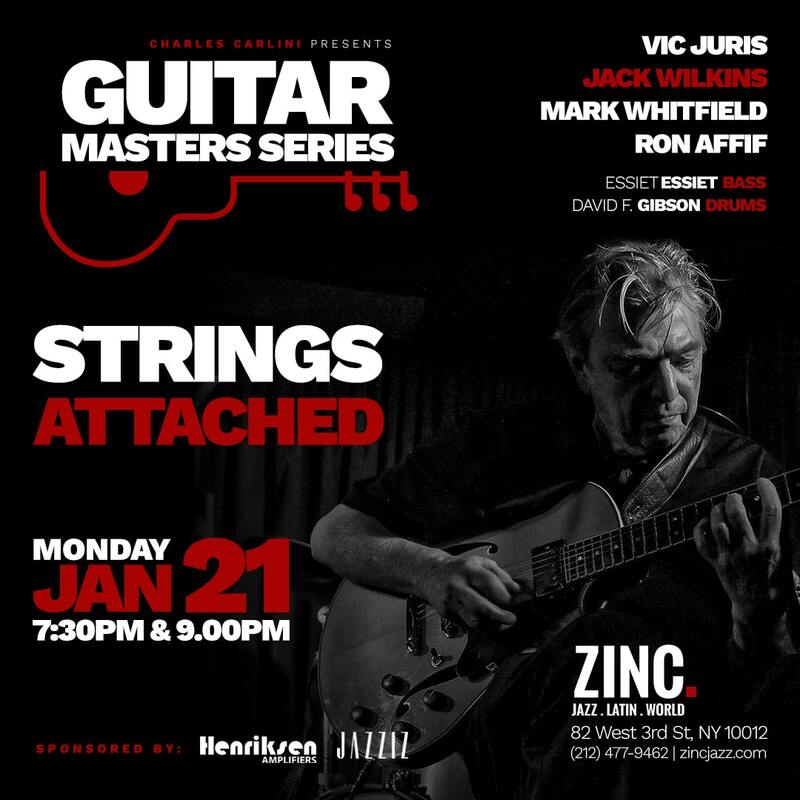 TONIGHT: Catch Guitar Masters Jack Wilkins, Ron Affif, Vic Juris and Mark Whitfield at Zinc. Book your tickets now! Strings Attached features four of New York City’s premier six-string jazz masters on a single stag—Jack Wilkins, Mark Whitfield, Ron Affif, and Vic Juris. They join forces as Strings Attached for a uniquely spectacular show. Showtimes are at 7:30 pm & 9:30 pm. Tickets: $20 advance / $25 day of show. For more info call (212) 477-9462 or visit https://zincjazz.com.